Mobile is our life. I personally have started to find myself using my smartphone both for business and for entertainment much more often then a PC, even if it is within my usual reach. What if I could also play my favorite PC games on Android, right here on my couch? So, that I don’t need to turn my computer or gaming console on? Would my life become happier? Definitely, yes. Especially in this world, where we can turn the things apart with a swipe of a single finger. Just imagine how great it would be to enjoy our favorite strategies like Heroes 3 or Disciples 2 within the new environment and extraordinary experience with a mobile touchscreen! So, if you’ve already inspired by the idea of experiencing such gaming, just like me, let’s dive deep into the problem. 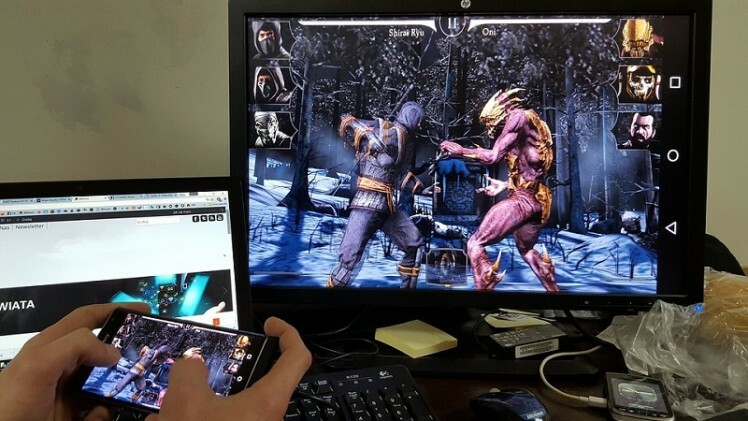 There are three ways of playing Windows games on Android devices. Use ExaGear Strategies app to port any PC game on your own to play with no streaming and no internet connection. The first two ways are quite difficult, as they require efforts for finding the proper titles and/or using some extra hardware. The third way, which is about ExaGear Strategies app, seems to be the optimal one as you won’t need any extra hardware and a lot of searching. It does include some handy work, but it’s so simple, that absolutely anyone can do it easily and without any technical background. Anyway, If you’d want to look at the problem from different angles, let’s stay consecutive and start from the very first way. So, the easiest way of enjoying computer games on your phone is to find the titles, that have Android versions. Here are the top 24 PC games that you can download right now from the Google Play Store. If you haven’t found the game you like on Google Play store, simply port it to Android on your own. It’s possible with the help of the latest Android app called ExaGear Strategies. The only limitation here is the game minimum system requirements. Currently, rather old and medium age games would be the best choice (titles Like Diablo 2, Heroes series, Stronghold Crusaders, Hal-Life 2 and alike). They can meet the most of Android devices’ technical limitations and can be ported without any performance loss. Basically, ExaGear strategies use a unique technology developed by Eltechs and, theoretically, is capable of running almost any Windows application or software on Android devices. However, results may vary. How to set up and use ExaGear Strategies, read further! 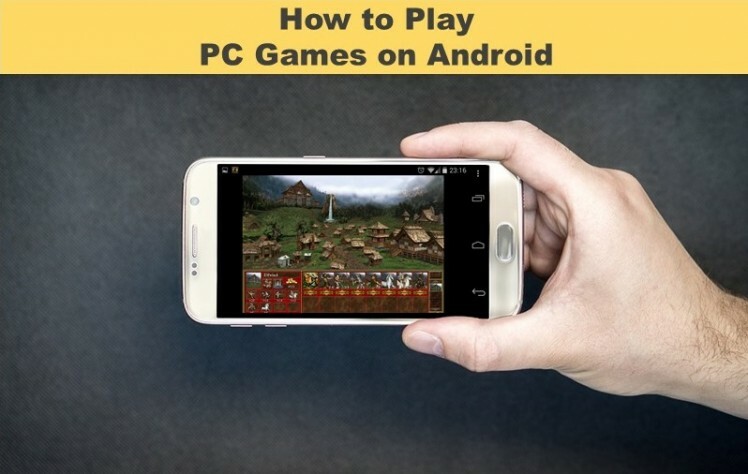 To play any of your favorite PC game on Android devices, you need to do a few simple steps. To begin with, you should own a game you’d like to play on your smartphone or tablet via ExaGear. For that, we strongly recommend you to use only the legal sources. For example, one of the best is the GOG website. Here you can find a lot of games, which are more likely to start on Android mobile devices via ExaGear Strategies. To get the game, simply go to the source website, and purchase the game (in most cases the price is very cheap). Then, you need to install it on your Windows (or Mac) PC first! This step is needed to transfer the installed game files from your PC to your Android later. To transfer the entire game folder to the ExaGear folder on your Android device, you need to find all those folders. Usually, the installation is performed into some special game folder, that is created right on your main local disk (in case of Windows this is marked “C”). So, you need to go to “This PC” -> “Local Disk C” -> “GAMES Folder” (If you use GOG, this is going to be the “GOG Games” folder). Now, simply transfer the entire game folder form your “Local disc” of your desktop to the ExaGear folder on your Android device. After that, just launch Exagear Strategies app. If everything has been performed correctly, the app should identify the game exe file and display it on the main screen. Now, you're done. Enjoy playing your favorite PC game on Android!